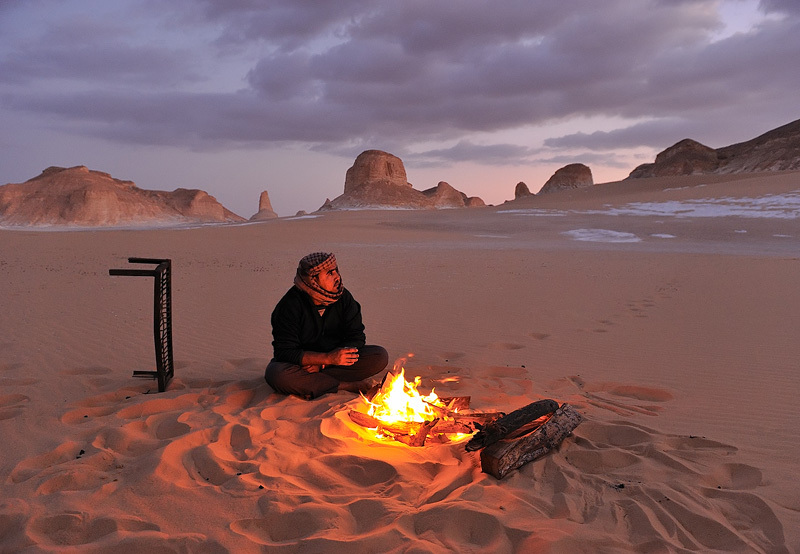 Nights in the Sahara can be cold. Just after sunset our guide has made a fire to keep us warm. The bright sandstone of the White Desert is visible in the background. Shot in Egypt.